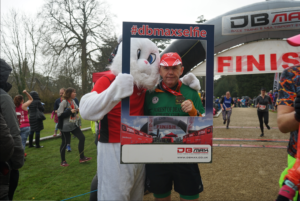 This week it’s Mark Williamson who took part in the Westonbirt House Easter 10k with us. ‘Parkrun is a weekly, timed, 5k run, free to enter and will be forever. There are now over 1000 parkruns taking place every weekend across the globe of which there are 510 in the UK. Parkrun’s aim is to make the world a healthier and happier place. To that extent people of all ages, shapes, sizes and level of fitness are welcome to walk, jog or run any course. Parkrun has a number of ambassadors focusing on long term disabilities and conditions ranging from Alzheimer’s through diabetes, heart conditions, mental health and obesity to name a few. Those individuals including myself either have the condition, or care for someone who has and their aim is to increase participation whilst raising awareness of the benefits of parkrun for those affected. They also work alongside to make parkrun more accessible.